Thank you so much for being a part of my Christmas mini sessions. I wanted to provide you with a bit of a style guide for the day. Here is some info to get you ready for the day! We will be shooting at Workshop Studios Bay 3. Click on the link to get directions via google maps. Please arrive no more than 10 mins early as we have very limited room in there and want to ensure that the current session has my full attention. If you arrive late this will cut into your specific time as I have back to back sessions for the full day. The vision for this shoot was meant to be very minimalistic. White walls, cement floors, and some added warmth with the greenery of the wreath, wooden seating and a few minimalist props. Feel free to bring something that has meaning to your if you would like. We will do a variety of shots being seated standing up, on the floor, portraits, and my favorite the in between candid shots! Its really meant to just be a fun time with your loved ones in front of my lens! I have a few suggestions on how to make your styling easier for you and your family. One of my goals when I am shooting is to make sure mama is feeling good about herself. 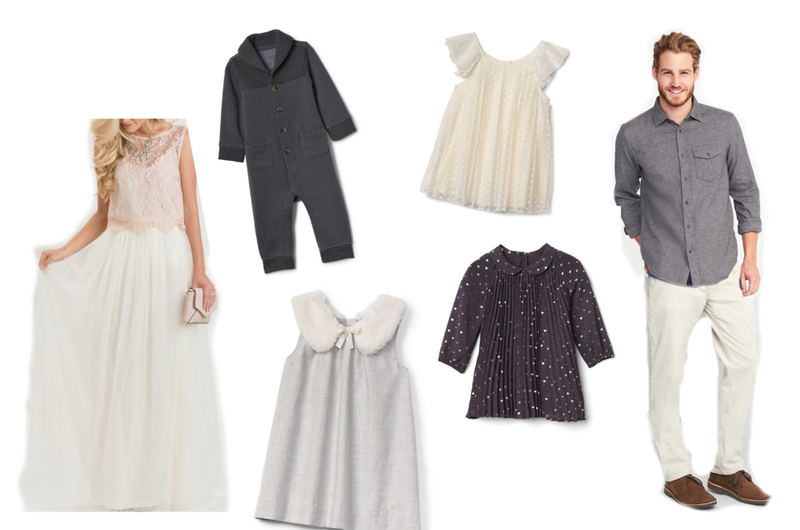 Find something that you love to wear first and then plan your family’s wardrobe around what you are wearing. Your babes will look cute no matter what! With this particular backdrop I feel like it gives you the opportunity to really make this your own. In general I feel that simple is better. No big logos and try to keep with colors that make you feel good and will work for printing on cards or even in your home. Here is an example of the inspiration that I had in mind when I envisioned this shoot. 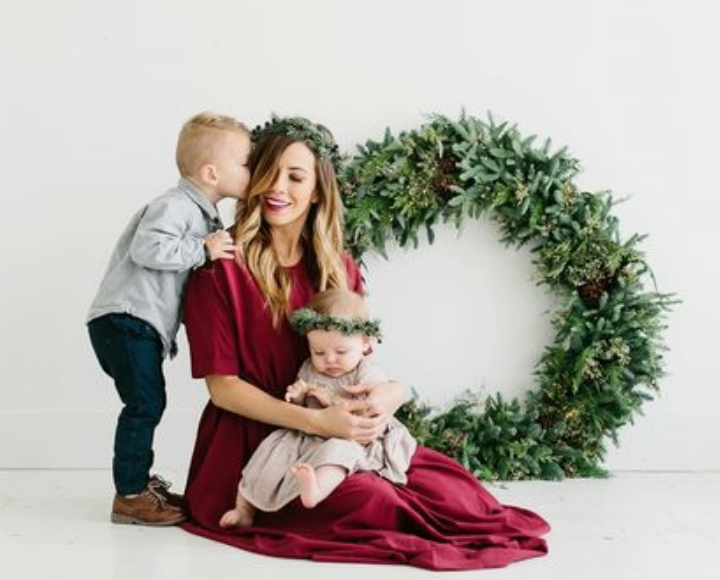 I love the way this mama is dressed in a pop of red and her littles are all in neutrals. If you choose to all be in neutrals I will have a few items on hand to bring in a pop of color for contrast! Here are a few examples of what I mean by coordinating but not matching with your family. Bringing in texture and working off of mom’s choice! Try to choose pieces that are easy. You don’t want to be worrying about straps falling down orbows that don’t stay in hair. I would rather spend my time documenting you then fixing your clothes the whole time! Simple, relaxed and comfortable. Your kids will thank you! Honestly I know photos with kids can be stressful. But at the end of the day kids will be kids and it’s my job to just capture your moments with them. Let go of all the Pinterest photos in your mind and just embrace yourself with your kids naturally. There may be tears, boogers and meltdowns but that’s just life and it’s all actually pretty awesome!! For those that need some bribing power, I suggest bringing something like a little fruit snack so that there is no mess or crumbs etc! Thanks so much and I look forward to capture some amazing moments with your family!